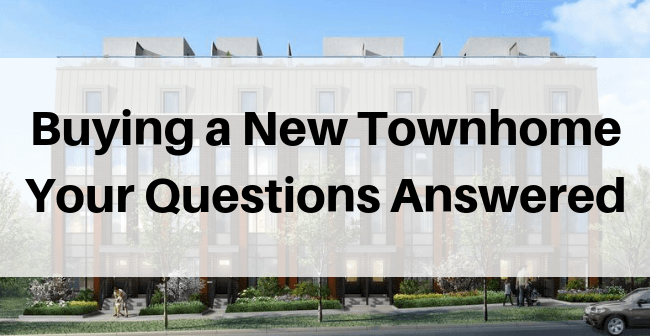 Q&A - Buying New Townhomes in Toronto - Bazis Inc.
Buying a new home is a great opportunity. When you buy a home from a builder, you are the first person to ever live in it. It is presented to you clean, finished, and exactly how you want it. You choose your layout, your colours, finishes and upgrades. Speak to your bank representative or mortgage broker to get pre-approved for a mortgage. This way you’ll know what your budget is. 2) Let Google be your guide. Take the time to fully explore your options online. Many Toronto neighbourhoods are comprised of a mix of high-rise, towns and detached homes. Learn what type of home you can afford. Consider buying a new townhome in Toronto. With a condominium townhome, you will have fewer maintenance headaches, and you can enjoy living closer to the core of the city more affordably. 3) Make a short list of possibilities. One way to take advantage of the best pricing is to get in early with a builder by pre-registering. Pre-registering gives you easy access to information which is usually released over time as the process of bringing a community to market progresses. Once your favourite community is officially open to the public, it’s wise to get in early so that you can get the best choice of available homes. Your representative will walk you through the various finishes and features and will answer all your questions. Once you have decided to move forward, your builder will present you with an ‘agreement of purchase and sale’. Most new home developments in Toronto are condominium. That means there is a short period of time to wait after signing. This time allows you to review the ‘agreement of purchase and sale’ with a lawyer and generally firms up within ten days. What should I know before buying a new townhome in Toronto? New townhomes in Toronto tend to be either ‘condominium’ type or ‘freehold’. Condominium means that you will have to contribute a set monthly fee towards the maintenance of spaces that you share ownership of, such as snow removal or grass cutting. Freehold means that you are responsible for taking care of your own amenities and you do not share ownership with other townhome owners. What kinds of things should I look for in a new townhome community? When you are researching new townhomes, you’ll want to make sure that the community offers what you need close by. If you have children, you will want to make sure that schools, libraries and community centres are nearby. You should also ensure that your new townhome is situated within a neighbourhood that offers parking (if you have a car), transit, shopping, and parks. 1) What is the location of Bartley Towns? Bartley Towns is located just south west of Victoria Park and Eglinton Ave. This location is close to downtown Toronto and offers excellent proximity to transit options, such as the Eglinton Crosstown. Bartley Towns is also close to schools, shopping and community recreation. 2) Are the townhomes Freehold or Condominium? Bartley Towns offers both Freehold and Condominium townhomes. ‘Freehold’ means that there are no maintenance costs on common areas. ‘Condominium’ townhomes generally have a few shared amenities that have lower maintenance costs. 3) At Bartley Towns, how many bedrooms townhomes are available? The freehold and condo towns offer a wide variety of homes to suit every lifestyle. Homes vary in size from approximately 1500 sq. ft. to over 1700 sq. ft. with options for 3, 4 and 5 bedrooms. These homes are perfectly suited to young professionals, urban families and those looking to move into a low maintenance home within the city. 4) How big is the community at Bartley Towns? Bartley Towns is comprised of 84 freehold and condominium townhomes adjacent to Bartley Park, and located just a short walk to the new Eglinton Crosstown! 5) What are the features of the Bartley Towns community? Bartley Towns features modern designed luxury townhomes. The townhomes feature elegant finishes, spacious kitchens, and expansive outdoor terraces. Some designs also feature a main floor den, which makes a perfect home office or media room. The designs at Bartley Towns take full advantage of outdoor space, with terraces on the main and bedroom levels. These terraces are perfect for dining al fresco, or for sipping your morning coffee while the sun comes up. Another convenient and highly-sought-after feature is the private garages, which not only offer greater security but also let you escape the elements. This makes your mornings and evenings a little more pleasant when mother nature has other ideas! When is Bartley Towns Coming? The Bartley Towns community has been fully zoned and approved! BAZIS is working with designers, architects and planners to bring this incredible community to life. A date has not yet been set. We invite you to register to receive new updates and information, which is released from time to time until the official opening.